Bridging the divide. Childhood from the autistic perspective, and how we can do it better! Supportive and practical advice for a wide range of day-to-day problems which might be experienced by those who have Asperger's or autism in the family. Dos and Don'ts is a practical, light-hearted and accessible book. The suggestions given are overall both readable and do-able, and besides being very helpful, will give the reader the pleasure of a smile or two along the way. 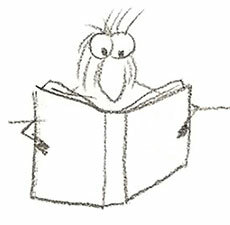 It is illustrated throughout by the well-known cartoonist Matt Friedman (also the author of Dude, I'm an Aspie). Arranged as a basic list, the book is usefully indexed and covers a wide range of day-to-day problems which are commonly experienced by those who have Asperger's or autism in the family. All the suggestions are given from a deeply gentle and understanding perspective; both of the children themselves, and of the difficulties and doubts we all experience as parents. In all, the book is concerned with achieving more connection, understanding and growth on all sides (child, parent and society at large!). What do we have in common as parents and carers of autistic children? Well, probably concern and worry for a start, about how they might do or might get along 'out there'. Certainly the feeling of loving your child so much you'd probably go to the world's end and back, if it would help them to be okay. A deep wish to support them in finding their own way in life, in achieving inner equilibrium and resilience, and in becoming self-confident – and the strong desire that through these things the chance will be gained for their gifts to shine through and be appreciated fully, both by themselves and others. Well, thankfully there are many practical ways in which you and your autistic child, and in fact your whole family, can find ways towards more joyful and mutually supportive ways of being, leading to a brighter future all round. 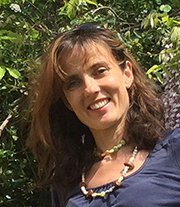 Katy Elphinstone's career has included working at the British Council (Rome, Italy), at Bioversity International, and most recently at St George's British International School. She currently works full-time looking after house, garden, animals and family: her main task is being responsible for the education and social life of two wonderful children (taking place in English, German and Italian). 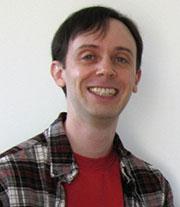 Matt Friedman is a grant writer, fundraising professional, and cartoonist. He is the author and artist of Dude, I'm An Aspie, which depicts life with Asperger's Syndrome with honesty and humour, using simple yet effective cartoons that are way more powerful than words. Dude I'm an Aspie has a lively Facebook community, and a blog. The book is available from Amazon. © Katy Elphinstone. All rights reserved. Cartoon illustrations © Matt Friedman, reproduced with permission.